Sketchnoting is not just an attractive way to take notes, it can improve retention and learning. These sketchnoting resources will get you started with your students. You don’t have to have a ton of talent, just a little know-how. I’ll update these sketchnoting resources, so tweet me or leave a comment to add your favorites. Don’t get overwhelmed, just get started. Twitter Tip: If you want to find and share great sketchnotes, follow the #edusketch hashtag on Twitter. Sylvia Duckworth’s incredible presentation Sketchnoting for Beginners. Notetaking Skills for 21st Century Students – one of my most popular blog posts that incorporates visual notetaking/sketchnoting into how I teach students to take notes. Doodlers Unite – Popular TED Talk by Sunni Brown – She uses the term “doodle” but many I know use sketchnotes or edusketch as their titles. Warning – you can’t really use this video with K12 kids, it has an inappropriate joke in it. Pick some of the others I’ve listed here. 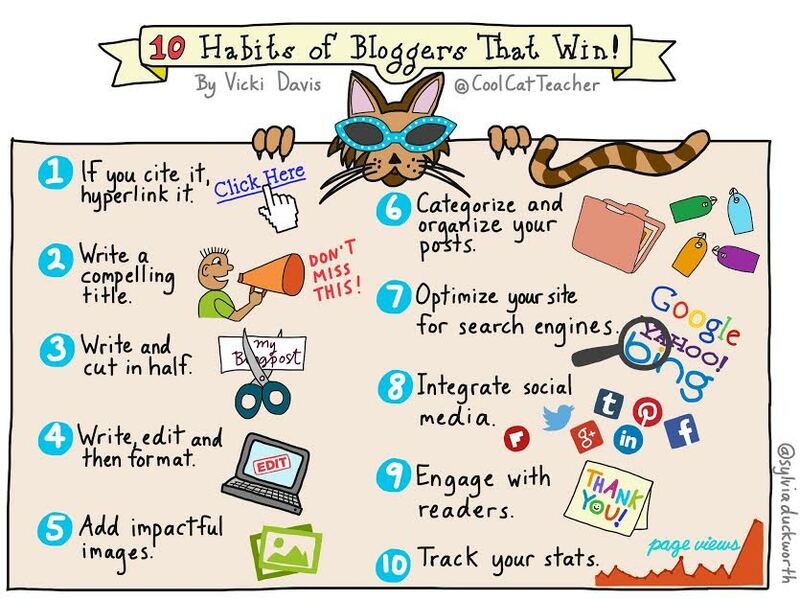 Sylvia Duckworth’s Sketchnote Flickr Account – Sylvia sketches relevant things for educators today. Drawing to enhance engagement — surveys have shown that when students draw to explain they are more motivated to learn compared to traditional teaching of science. Drawing to learn to represent in science — the process of producing visual representations helps learners understand how scientific representations work. Drawing as a learning strategy — if learners read a text and then draw it, the process of making their understanding visible and explicit helps them to overcome limitations in presented material, organise and integrate their knowledge and ultimately can be transformative. 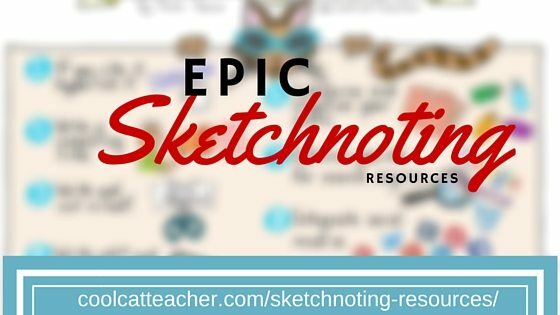 The post Epic Sketchnoting Resources: How to Get Started Teaching Sketchnoting appeared first on Cool Cat Teacher Blog by Vicki Davis @coolcatteacher helping educators be excellent every day. Meow!